Wallace Chevrolet > Camaro > Chevrolet Consumer Reports 2017 – A Big Year For Chevy! Chevrolet Consumer Reports 2017 – A Big Year For Chevy! Chevrolet Consumer Reports 2017 are in and the bowtie brand cleaned up in the Annual Auto Issue! The report details top picks and recommendations in each automotive segment and the results speak for themselves, as Chevrolet has made huge waves! 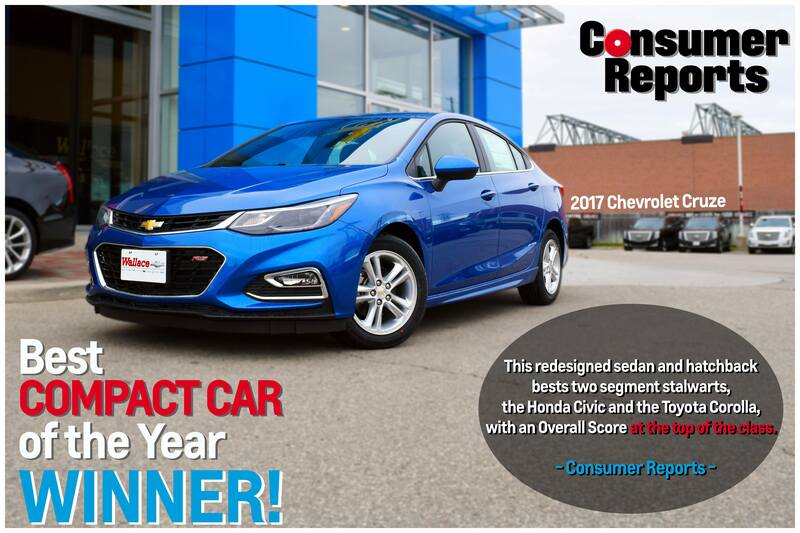 The all-new Chevrolet Cruze earned the top spot in the super competitive ‘Compact Car’ category, which makes it the first domestic vehicle to win the category in over 10 years! –> Cruze topped competitors like the Honda Civic, Hyundai Elantra, Toyota Corolla, Mazda 3 and more! 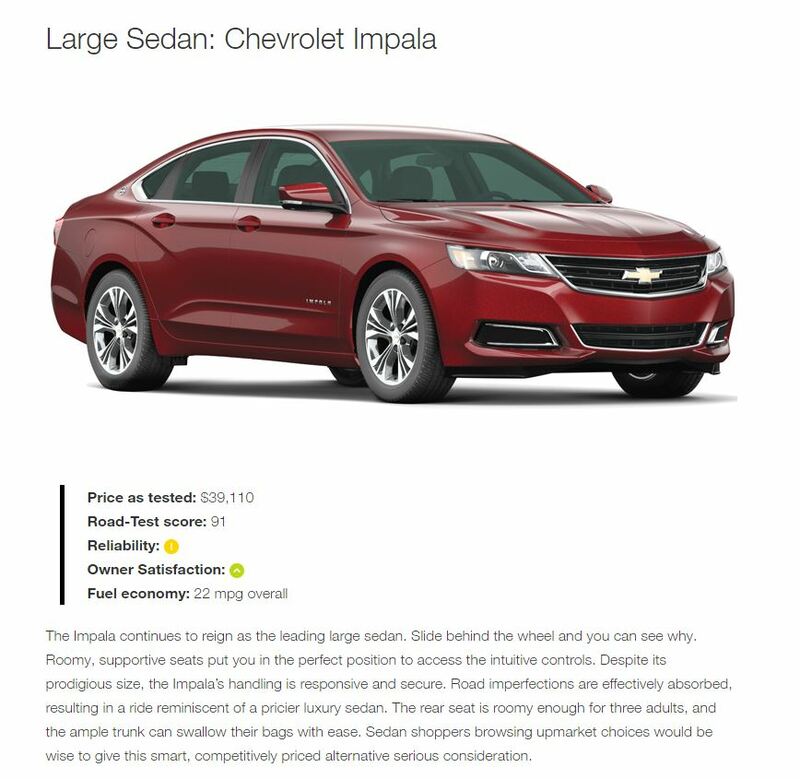 The Chevrolet Impala earned the top spot in the ‘Large Sedan’ category for the third consecutive year! –> Impala beat out competitors like the Ford Taurus, Toyota Avalon, Nissan Maxima and more! 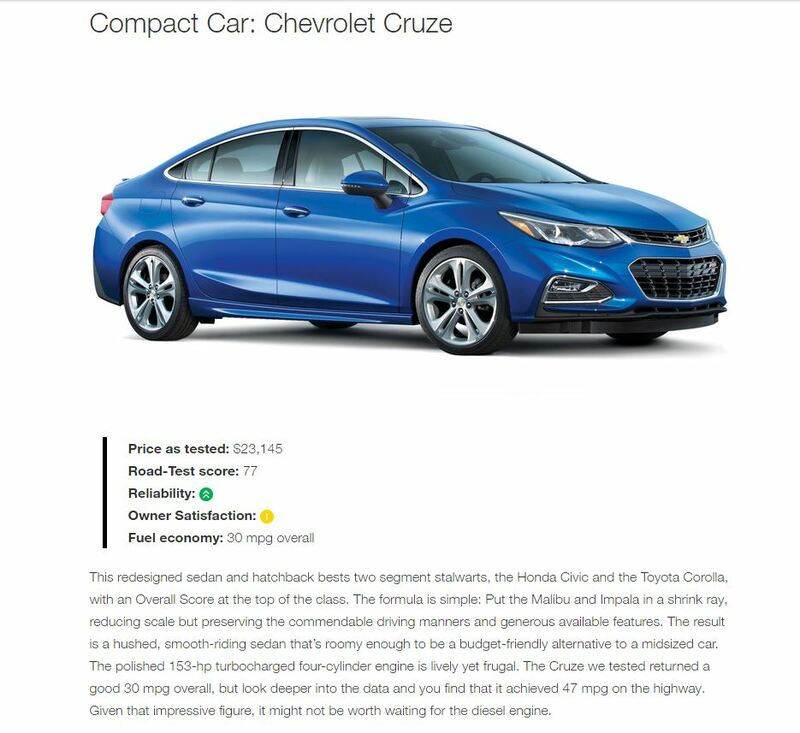 The Chevrolet Cruze & Impala weren’t the only General Motors vehicles to get the nod from Consumer Reports, as FIVE other vehicles also garnered the highly coveted “recommended” rating. Congratulations to Chevrolet on the wins!! !